Beth Hallel Birmingham was founded in 2007. It is part of the International Association of Messianic Congregations and Synagogues (IAMCS) and the Messianic Jewish Alliance of America (MJAA). Our purpose is to reach people with the life giving message of Yeshua, to the Jew first and also to the Gentile. Read our Statement of Beliefs and learn about our set of core values here. View service times, a map to our facility and general directions. 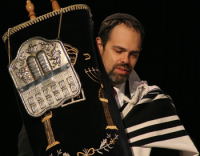 Beth Hallel Birmingham is a Messianic Jewish congregation comprised of Jewish and Gentile members who have become one in the Messiah of Israel, Yeshua (Jesus).